We had some visitors today… some cute birdies 🙂 We didn’t have much time after work to sit and watch them as we had a lot to do, but I took a few minutes to see what they were up to. 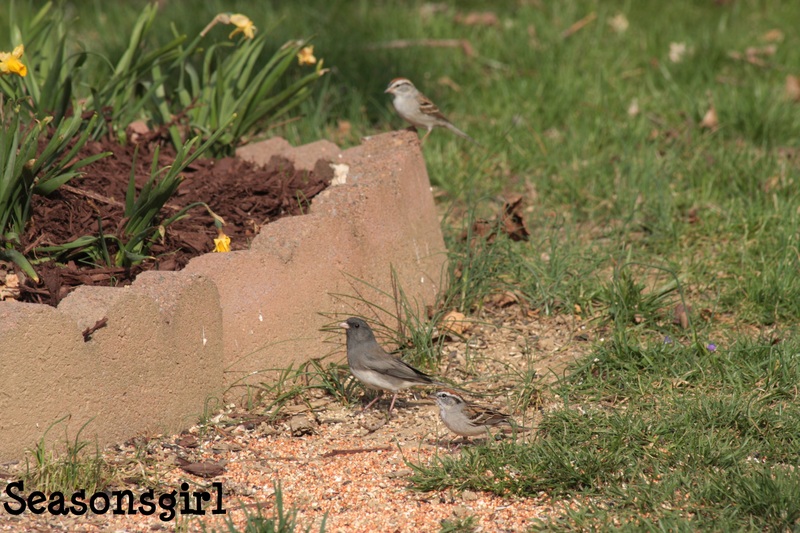 I just love little birds, they are so fun to watch. I have a suet feeder hanging on my porch where I can see it from the window in front of my computer and seed as well. We have a downy woodpecker and a hairy woodpecker and a nuthatch that love the suet. And lot of little birds for the seed. 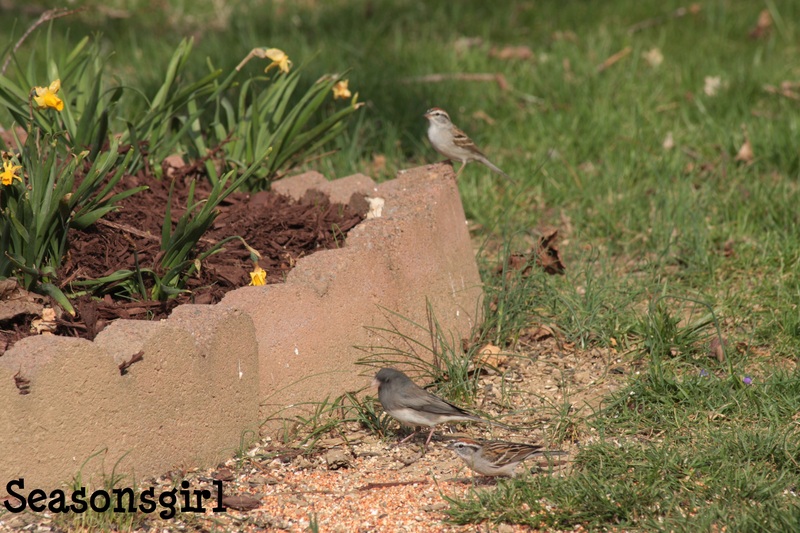 I blew up your picture and the little birds are house sparrows, and the gray one is a junco. They hang out together along with black capped chickadees, but they like the ground a little more than the chickadees do. Love your pics, have a great day!